PHP is very powerfull server-side scripting language. We provide hand-on training with live project. 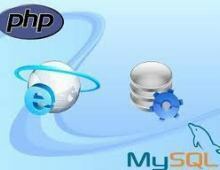 We Provide Best Training in PHP MySQL Which is the part of Website Design Technology in Bhopal. Because, , we provide our students with Live Projects & great experience during training Programs And Give one Year member ship. This online course on PHP/ MYSQL has been designed to emphasize both the theoretical aspects along with the practical guidelines needed to learn web development. The course is open to working professionals, recent graduates & students. There are a large number of database management systems currently available, some commercial and some free.Some of them : Oracle, Microsoft Access, Mysql and PostgreSQL.These database systems are powerful, feature-rich software, capable of organizing and searching millions of records at very high speeds. Cyber Metric Services (CMS), pioneer in IT Training has designed various training programs for Web Designing and Web Development courses from basic to advanced levels to help students of all categories from fresher to experienced / working professionals. 3. Strong & Retrieving Information In Variables. 4. Decision Making In PHP.